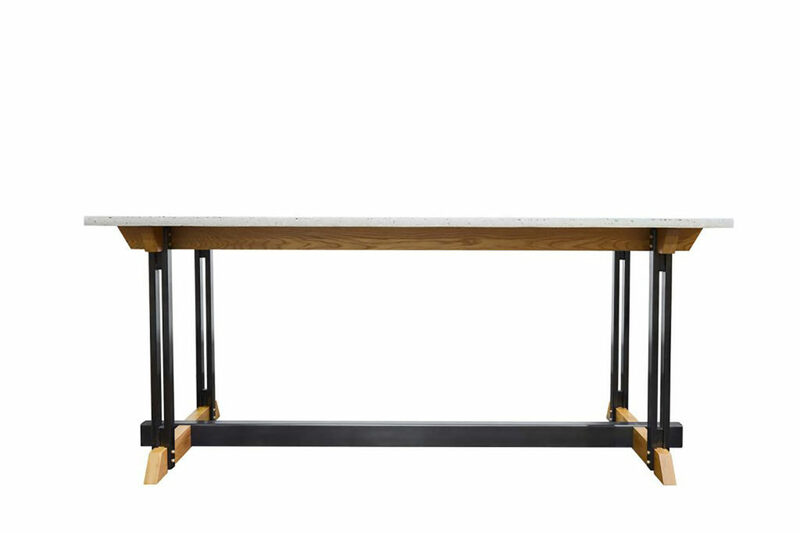 Lap table is about connection and creating a magical gathering space around a robust table. 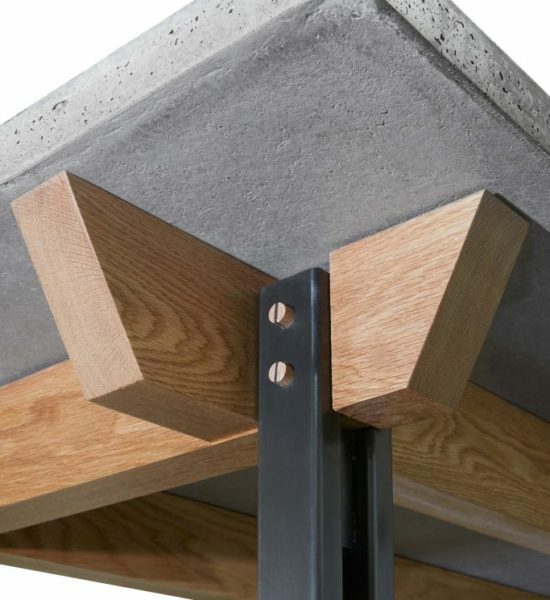 It utilizes a range of naturals materials to create that perfect visual and textural balance. 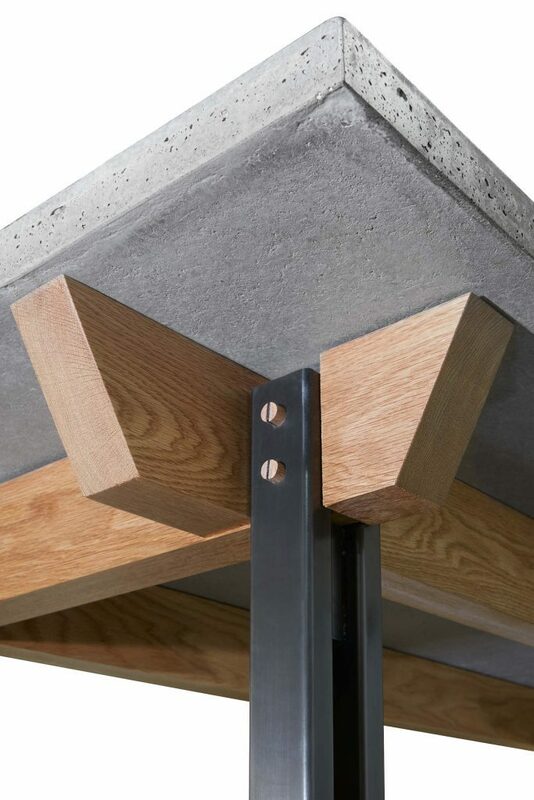 Every detail has been carefully considered. 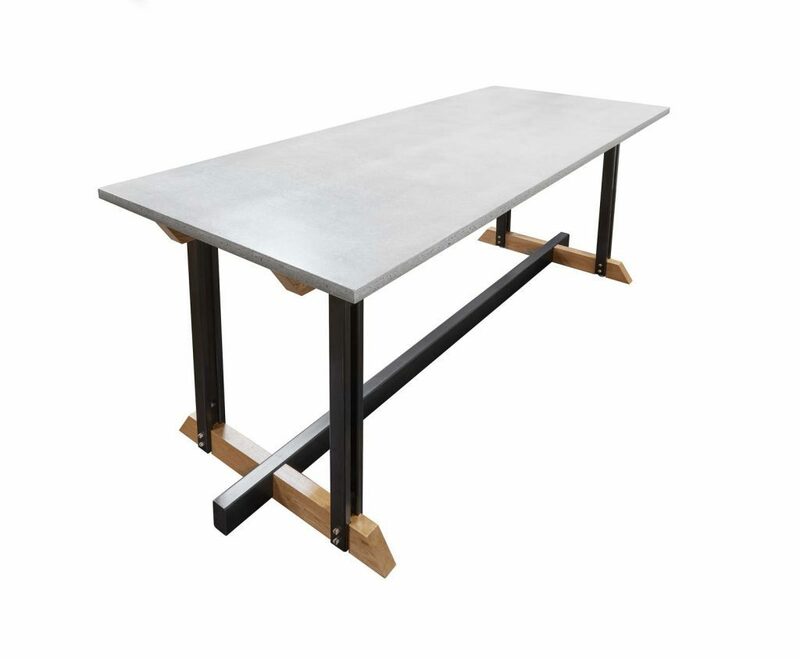 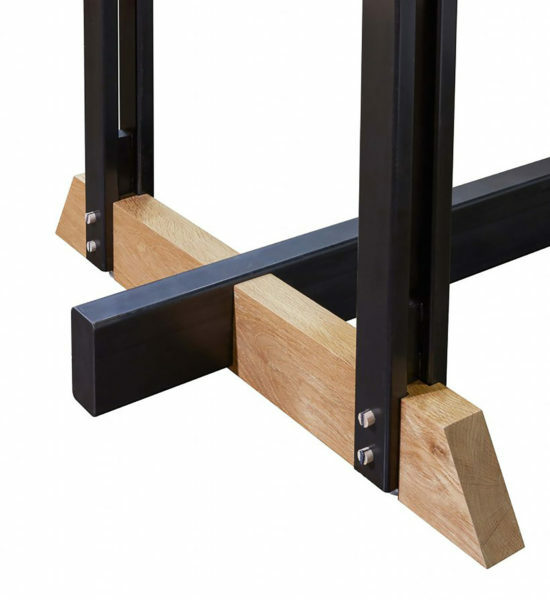 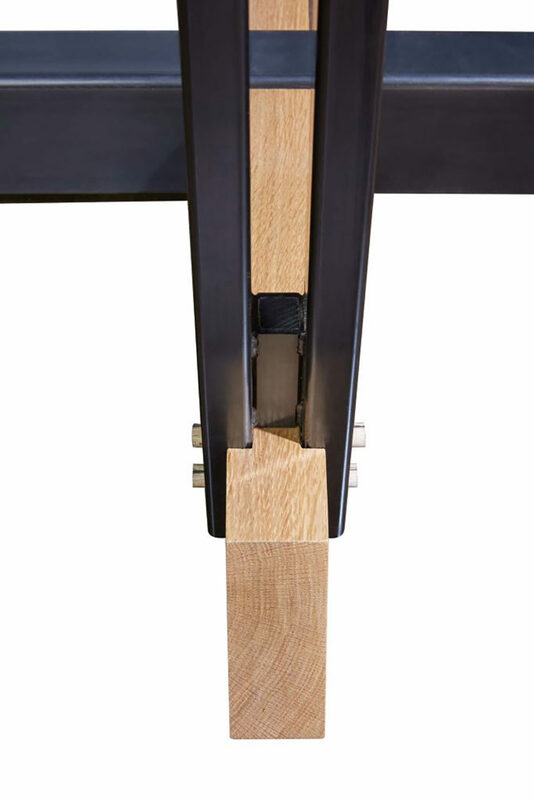 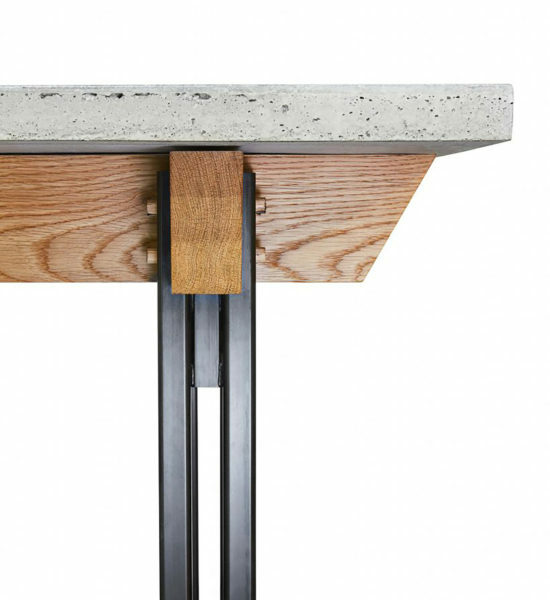 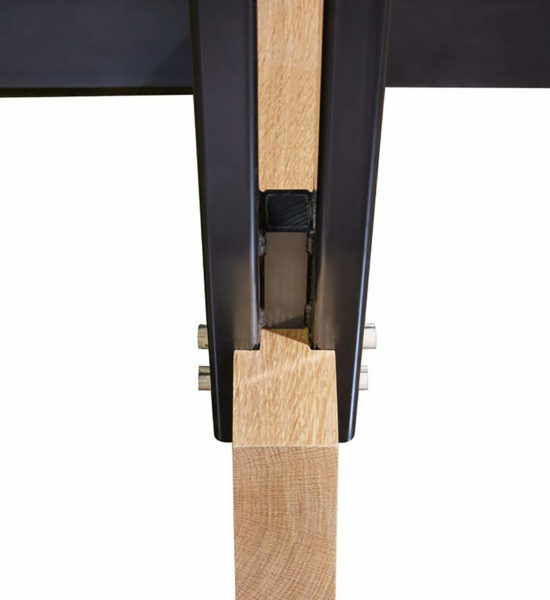 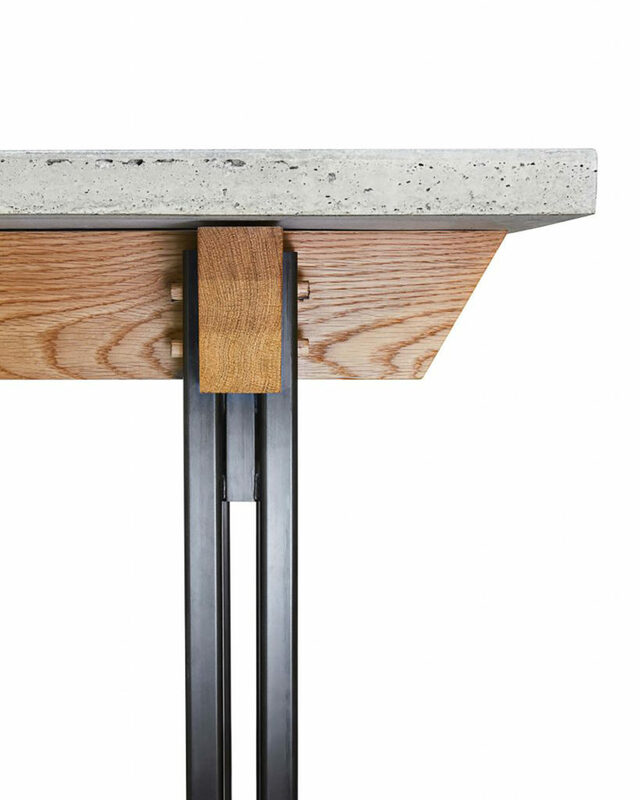 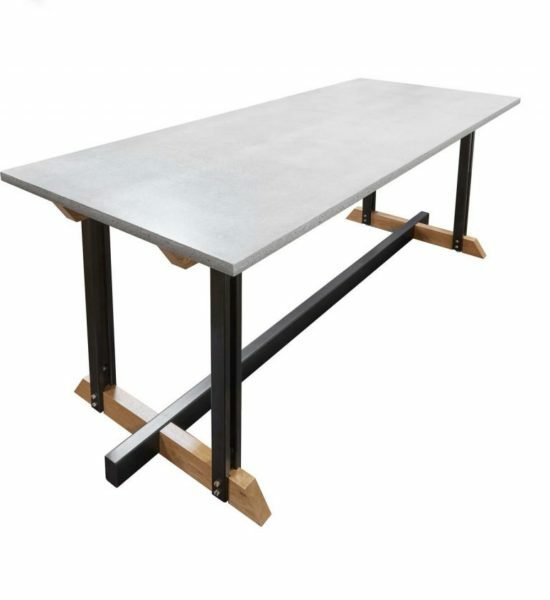 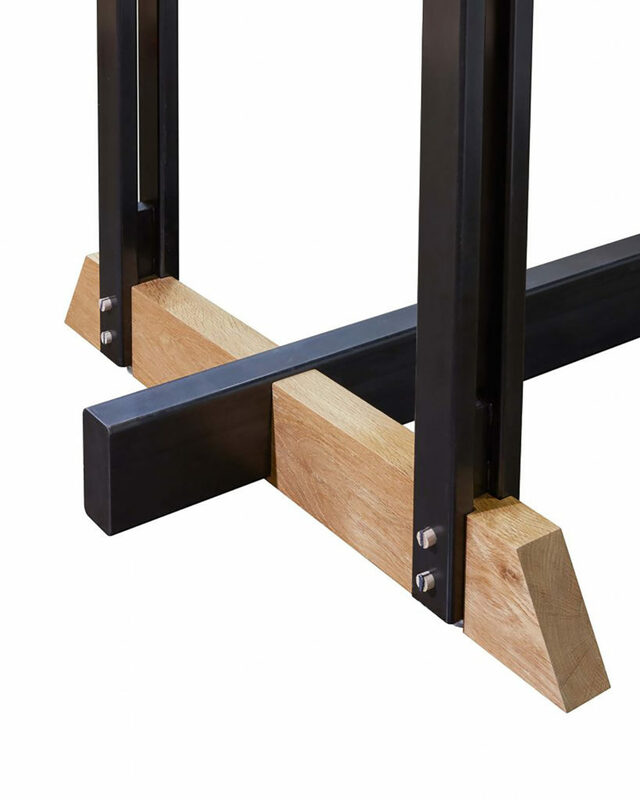 Joinery details such as blackened wedged through tenons and inset blackened walnut plugs inside the steel tube finish it off with surprises around every corner of this table. 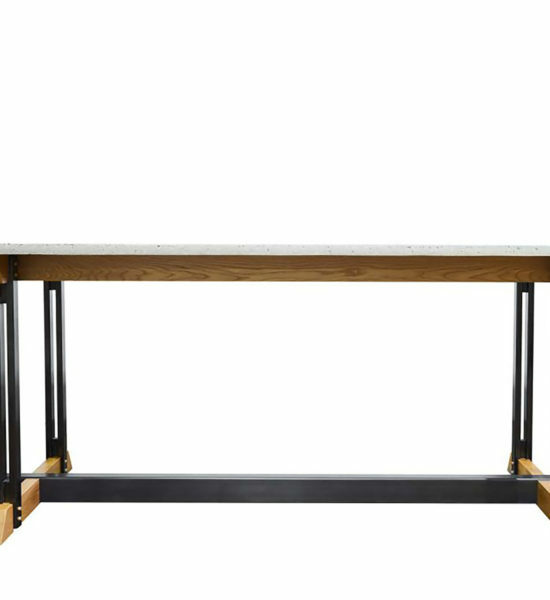 Custom orders and special requests welcome.